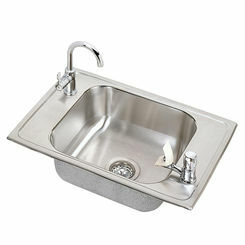 We carry the best when it comes to classroom sinks. 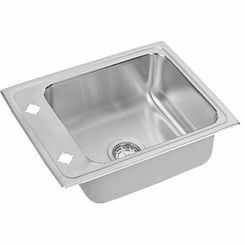 The distinguishing characteristic for most classroom sinks is the fact that they have an extra hole for a drinking water spout. 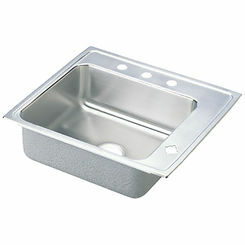 This feature is a life-saver for teachers of young children. 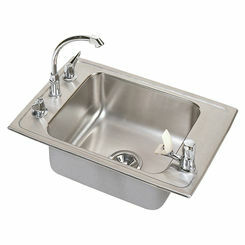 The most critical factor in choosing your sink is that you get the right configuration. 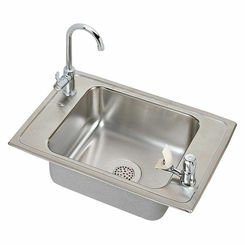 If you have a two-handle faucet, then you need a 3-hole sink (not counting the fountain hole). 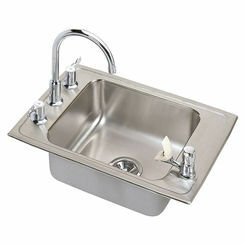 If you have a single-handle faucet, then you need 1-hole sink. 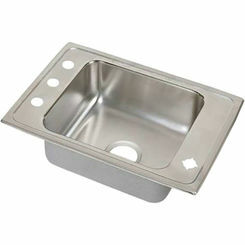 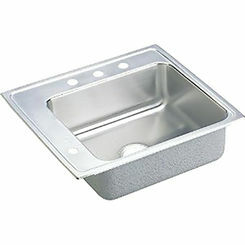 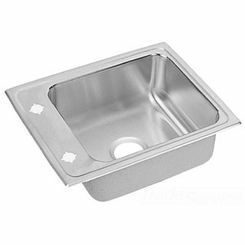 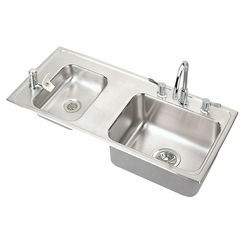 Typically, these sinks are made of the most practical material for commercial applications, stainless steel. 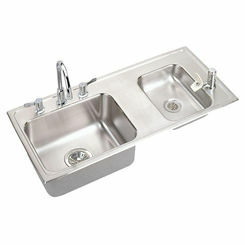 If you shop our commercial products, you'll notice we offer trusted manufacturers, like Elkay. Look for us to bring in more options in the future. If you have any trouble locating the commercial sink you need, then go ahead and contact us, please.